Municipality of Pan-ay is a silent small town with rich Spanish colonial history. It's a coastal town found on the eastern side of the provincial capital Roxas City and a good 20 minutes jeepney ride, snaked all across it as a National Highway that links all the municipalities on the eastern side of Capiz. I have but the fondest childhood memories of this town and the old church of Santa Monica, especially that the annual town fiesta is every held first week of May, perfect for a summer vacation with my cousin's and a few friends who live here. 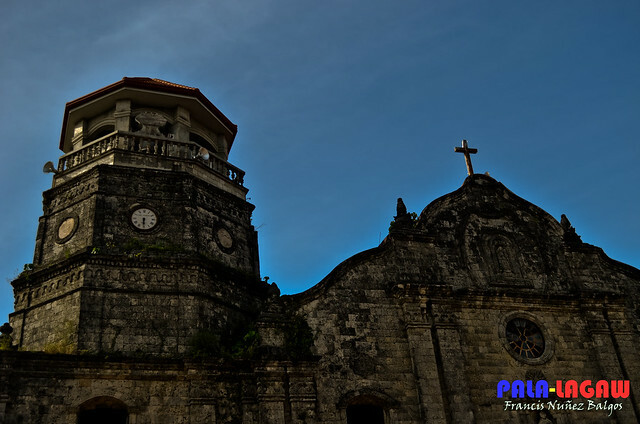 This town is home to a national historical landmark the Santa Monica Parochial Church and the Dakong Lingganay which means Big Bell, the pride of Capizenos as being the Biggest Bell in the Philippines. 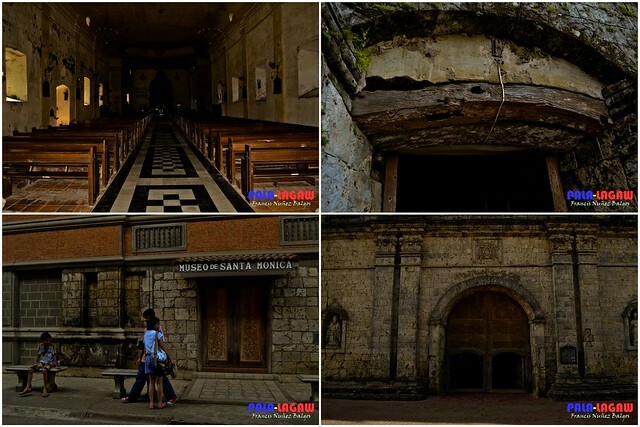 Pan-ay, Capiz has a very strong Spanish colonial mark, the old church itself bears the scars of its past. Even though it has been restored many times over the years, I could still remember the old decaying floor tiles of the church literally strewn with tombstones of people long dead, a humid environment and high ceilings that has been home to many bats, the old pews bearing the names of the Don's and as you can imagine old Spanish names with marital status and maiden names engraved on each marking them as the one who made donations, just like how my grandmother's tombstone reads as Julita Baes Vda de Balgos which means Julita Baes (Maiden Name) widow of Balgos (my grandfathers last name) simple enough but there are other names that could go on forever. It should be obvious that this small town is proud of its history, and likened to stick to the old norms and resist change as much as they can. High above the walls, moss are spreading out, and bats still reside in the high ceilings. The wood work looks old, but if you look closely, the detailed sculptures are still visible, old wood beams still seen on the small side doors though the roof had been replaced just a few years back. This quick visit was unplanned, I only intended to take pictures of this great church, but as is when you travel with your siblings in tow, they'd want to have a piece of the fun. We first visited an Aunt of ours who lives alone in one of the Barangay's here, and on our way back, we visited the cemetery to visit the graves of some of my folks, the short stint in the church was really for us to buy candles but then it lasted for good 30 minutes, if you could describe melancholic fun then its should be it. The people in the pictures are my siblings, they added to the human elements of my photos, and I was just happy to take pictures of my loved ones. 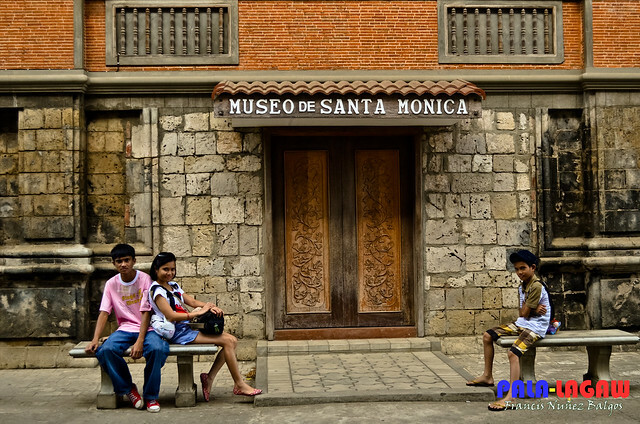 Beside the church is the Museo de Santa Monica, which as far as I know had always been close. It was never open to the public. I took a few photos just outside its close doors with my siblings. We where invited by caretakers to climb the belfry and see the Big Bell which we declined, I've seen it a few times and we have no time to climb the winding staircase. A sweeping view of the municipality can be seen from the belfry, looking back, I should have made the effort. There's a replica of the Big Bell outside the church, the original bell itself is made out of 70 sacks of coins donated by parishioners. 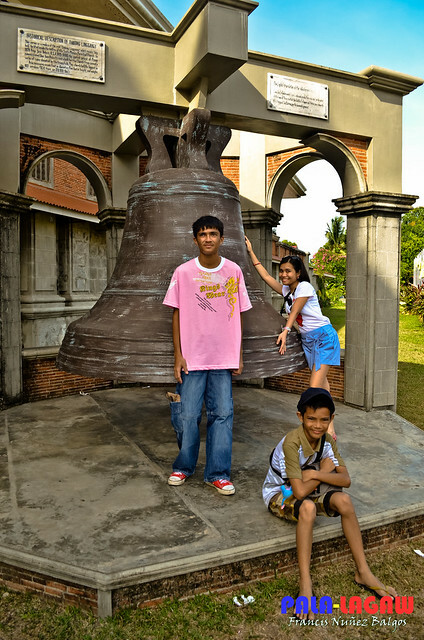 So you can imagine the size of the Bell, I had my siblings pose with the Bell's replica, considering size and the time when this was cast, it must have been a feat of metallurgy. I never been there. I wish one day I can visit this old church. Thanks! WOW! i wish i could see it in person.. thanks for sharing your pictures, it feels like i've been there, hehe.. they remind me of San Agustin here in Manila and places in Vigan, Ilocos Sur..
Oh my. This place is old and gorgeous. I have never been to Capiz. Will add it to my places to visit list. Very nice photos! I wish I could go there too! This is one of my dream destination! Yes sir, I always wanted to visit Pan-ay in Capiz! Not only for its rich history but because of the big bells and picture perfect church! As always, such lovely photos! 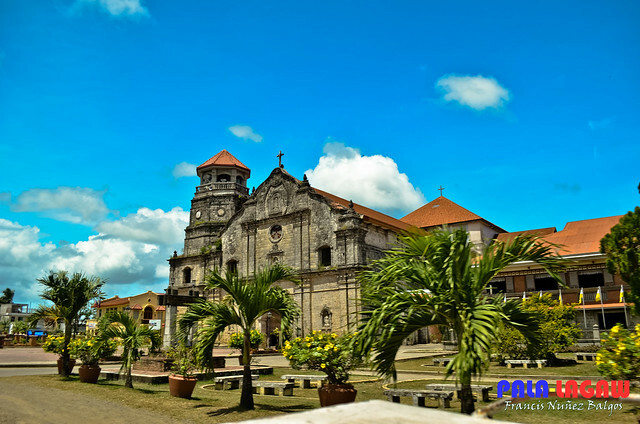 If I were to visit Capiz, I'll make sure to drop by this picturesque church. i still have a lot of places to go in the country..and Pan-asy is one of them.. It is very interesting Francis... That's absolutely a heritage to keep. Amazing shots. All are perfect and flawless, especially the last one. I'll be watching for more photography from you. That's a very nice architecture. Very baroque. I like also your editing. we have so many beautiful places here. this is one of them. i often wonder why i even go out of the country. Old churches look awesome. And nice work on the photographs too!